Spain is helping Haiti | Marbella Marbella – Adelante! The European Union, currently headed by Spain, has activated its Emergency crisis management system on account of the earthquake that shook Haiti on Tuesday, as told by French Secretary of State for European Affairs, Pierre L ellouche, in an informal meeting of European affairs ministers. Besides this, the Spanish national radio said on Wednesday that Spain will be sending 40 disaster relief experts consisting of fire fighters, police, emergency services members and trained dogs along with Secretary of State for Latin America Juan Pablo de Laiglesia and foreign ministry officials to help the natives of the quake stricken island. Another plane consisting of surgeons, medical equipments and field hospitals will follow on Thursday. In addition to 3 million Euros announced already by the European Union, another three million Euros and a plan to send 150 tonnes of humanitarian aid has also been announced. 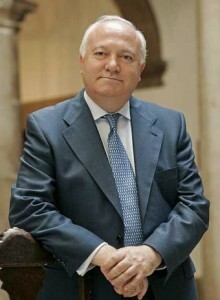 Spanish Foreign minister Miguel Angel Moratinos has also affirmed the set up and usage of a humanitarian Base in Panama to help in the proper distribution of the aid sent.